Autumn is the perfect season for a cozy nighttime hearth, but would a fireplace or fire pit better suit your space? Both features provide the charming warmth we all crave this time of year, and your style, space, and budget should all be considered when selecting that perfect fire. Seating. Enjoy intimate seating on one side of the structure, ideal for small groups or romantic settings. While this stimulates relaxing conversation and ambiance, it also requires additional seating. Perspective. The structure will become a magnificent focal point in your outdoor space, but its size also obstructs views, creating privacy from neighbors, or a blockade against surrounding scenes. Safety. The enclosed fireplace blocks the wind from guests as well as the lit fire, and provides additional safety around the flame while redirecting bothersome smoke. Cost. While fireplaces offer more decorative opportunities, they are priced significantly higher, and come with a list of permits, regulations, and inspections. Seating. Entertain a group of any size with 360 degrees of flexible seating where guests can face each other for better social interaction. Perspective. These low-to-the-ground structures won't obstruct surrounding views, so they are best placed among an enjoyable scene where privacy is not an issue. Safety. 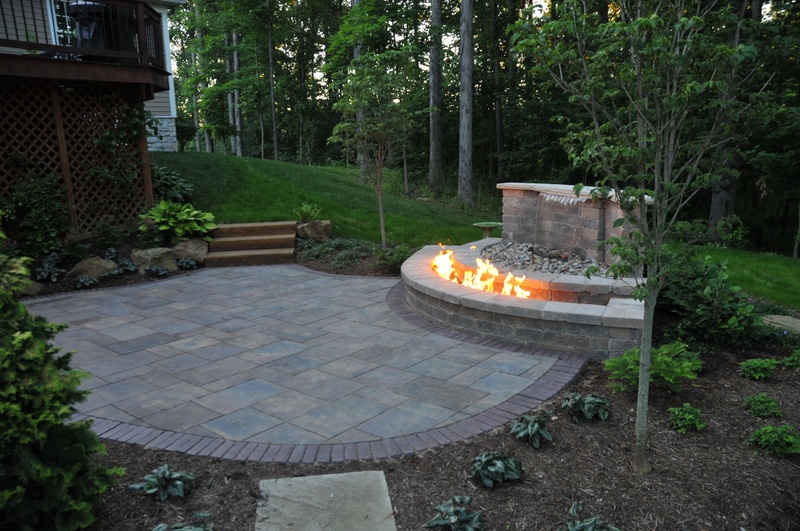 A fire pit offers a better view of the flame, but is more vulnerable to wind and misguided smoke and embers, making it more difficult to enjoy the fire in windy weather. Cost. Fire pits are a significantly cheaper investment, but will require attention during use and may have restrictions in your area. 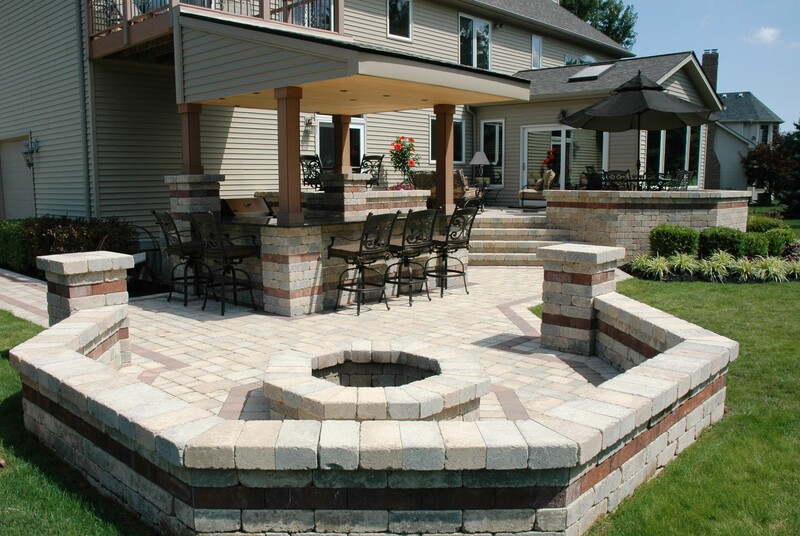 Extend the use of your yard and enjoy the peaceful atmosphere of an outdoor fire by contacting Green Impressions. 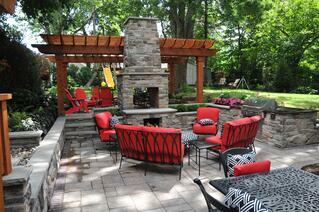 We'll make sure you receive a free consultation to warm your outdoor space this season.